France boasts a great artistic heritage. By the middle of the 19th-century Paris was the undisputed epicentre of art and fashion. All other European countries looked on with envy. From the galleries of Paris to the chateaus of the Loire Valley, you’ll be exploring France’s great cultural legacy. 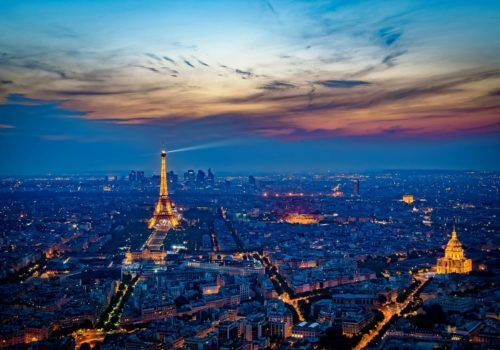 You’ll also visit Da Vinci’s tomb and no doubt sample some of France’s famous wines. When you arrive at the airport your driver will meet you and take you to your hotel. In the morning, you’ll sail down the Seine where you’ll see many of the great landmarks of Paris. Then, you’ll meet your private tour guide in Montmartre. This historic district has been a haven for artists for decades. Here you’ll find Sacre Coeur and stunning hilltop views of Paris. Montmartre is arguably the most exciting part of the city. It seems to embody the historical spirit of Paris. This morning you’ll enjoy a private tour of the Louvre, the most famous museum in the world. Its contents are so vast you can’t do it justice in one trip, so having the guidance of an expert is particularly helpful. After lunch and maybe even a little drink, make your way to the Musee d’Orsay. Here you’ll see the great works of the impressionist and post-impressionist artists. You’ll see many of the key paintings of the 19th-century by artists such as Monet, Cezanne and Van Gough. You’ll have a whole day to explore the city at leisure. We’d recommend a trip to Le Marais, one of the most stylish districts in Paris. Here you’ll find excellent cuisine, a vibrant gay scene and a lot of art galleries. Visit Musee Carnavalet and Musee des Arts et Metiers. Today you’ll be taking a guided tour of the Palais Garnier, the opera house that inspired Gaston Leroux to write The Phantom Of The Opera. You’ll also take a trip to Hotel Sale, where you’ll see the best Picasso collection in the word. The museum covers everything from his blue period to his surrealist works and his later phases. 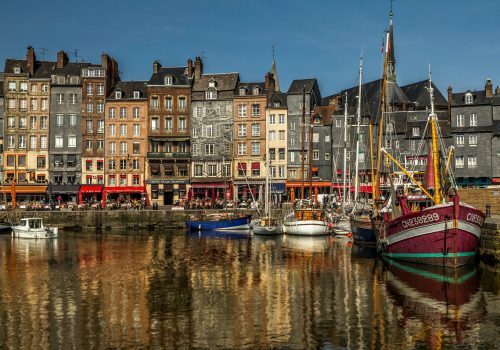 This morning you’ll be taking a 2-hour train ride north to Honfleur. You’ll visit the home of Claude Monet where you’ll see many of his great works. You’ll also take a trip to the medieval castle Château Gaillard, built by Richard Lionheart. Today the castle is a ruin – it’s been uninhabited since the 16th-century. But as you wander around its grounds you’ll feel the ebb of history. The building was considered to be a masterpiece in its time. Today you’ll be able to explore Honfleur at your own pace. Explore the narrow streets of the town’s historic centre and visit the scenic harbour. You can visit museums showcasing the works of Erik Satie and Eugene Bodin. For lunch, you’ll no doubt wish to sample that Frenchest of dishes, Moules, which are very popular here. Take an early morning train South to the medieval town of Chinon. When you arrive your driver will meet you and take you to your hotel. Day and evening at leisure. Today your driver will be taking you on a tour of Loire Valley. You’ll visit the grandest chateaus in the region, including Blois and Loir-et-Cher (no, not that Cher!). You’ll be visiting the historical town of Amboise, home Château d’Amboise, the impossibly grand former home of King Charles VIII. This chateau embodies much of the history of France. Leonardo Da Vinci even contributed to its design. Sadly, King Charles VIII’s death was less edifying than his great building project. He walked into a door on his way to a tennis match, banged his head and breathed his last. Here, you can visit the tomb of Leonardo at the Chapel of Saint-Hubert. Today you’ll transfer to Paris for your return flight.